Sweet Icing Bakeshop specializes in gourmet cupcakes, sweet treats and custom cakes, that are as good as they look. Leah Bent, owner, realized her passion for all things sweet at a very young age. She has left behind her career as a teacher to dive head first into the world of sprinkles, icing, and fondant! 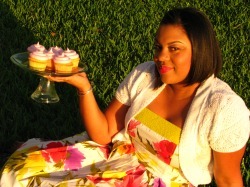 She started Sweet Icing Bakeshop with the desire to make "more than just cute cupcakes"!